Every Christmas, my mother hauls out a box of vintage beaded balls made by my grandmother. Each of them is hung from the ceiling with clear fishing line, which gives the impression of several gilt and sparkling orbs floating in our formal living room. 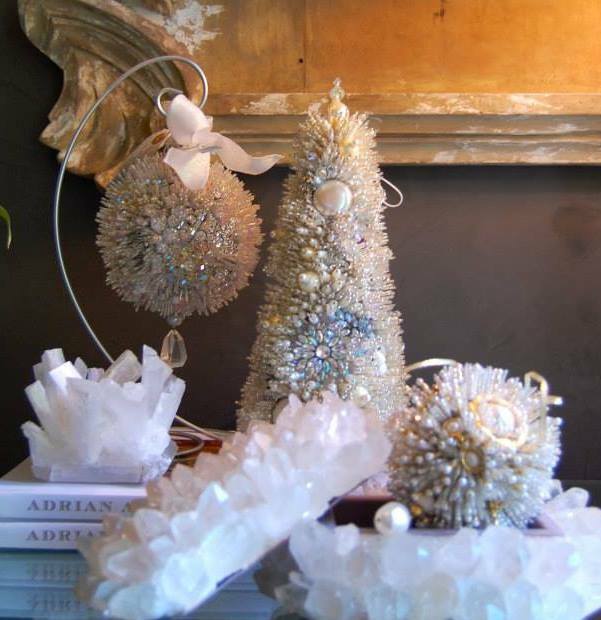 Each Christmas I looked forward to that ritual, and when I saw that Dallas artist Peyton Hayslip was creating an altogether more polished and stylish version of these beaded beauties, I was absolutely intrigued. As it turns out, remembering those 1970s-era beaded ornaments is what inspired Hayslip to create her line of ornaments and tabletop decor. We do, too! Jump for more! If you have friends and family with impeccable taste, you have to stop by Bernadette Schaeffler Collection tomorrow. This is the store to shop for everyone on your list, and I mean that. 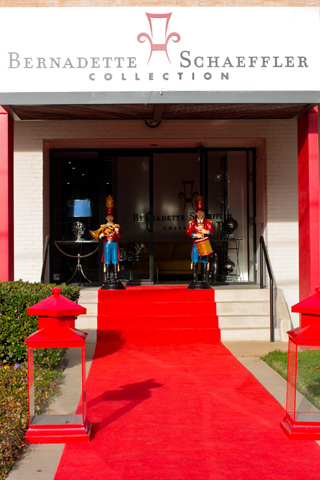 Gorgeous accessories, barware, serving dishes, art and decor … all of it is tremendously beautiful and meets the highest standards — Bernadette’s! I went down to Schaeffler’s showroom at 1616 HiLine Drive today to check things out and not only did Schaeffler have delicious German treats to share, but she has a wonderful assortment of both small and substantial pieces that make wonderful gifts. The Holiday Bazaar will run from 9:30 a.m. to 5 p.m. tomorrow, so stop by and find something exceptional for everyone on your list! Stay tuned, because we’ll be featuring more fabulous items from the Bernadette Schaeffler Collection as we count down to Christmas! As Autumn Smink heads off to Italy for the Milan Salone, we wanted to get a sneak peek at the trends that will hit this standard-bearer of Italian furnishings. The annual event is the launching point where manufacturers come out with their new and exotic designs, said Jennifer Smink. So, what does the duo behind SMINK Inc. expect to see at this industry event? Dallas Decor, Dallas Decorators, Dallas Design District, Dallas designers, Italian Furniture, Minottie, Modern Design, Modern Furniture, Modern Showroom, SMINK inc. 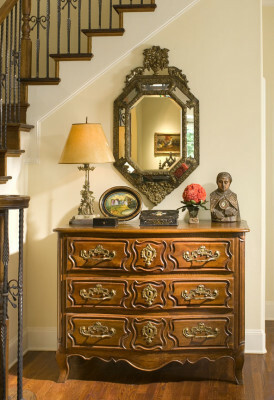 Some financial experts consider antiques to be a third-tier investment. I would offer another opinion: Given the volatility of the stock market, which has experienced two large drops in the last 25 years, and the equally unpredictable real estate market, fine antiques — especially 18th and 19th century furniture, accessories, and paintings — are steadily rising in value each year. I have never seen a decrease. Ruth Taylor, an estate dealer for more than 35 years, said that she could not agree more. According to her, the values of antiques increase an average of 5 percent each year. There is always a market for antiques, and the general population is about 85 percent traditional in their taste, which affects resale. 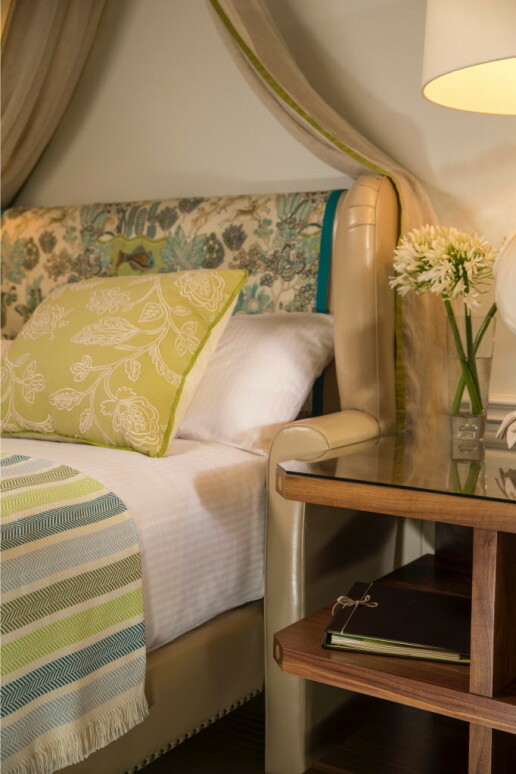 Ruth stated that she would much rather have a home full of antiques than reproductions. My personal experience confirms that antiques are a sound investment. Ten years ago I purchased a tortoiseshell tea caddy for $1,600, which I thought was pricey. I recently saw a similar one priced for $8,750 at an upscale antique shop, which shows what a wonderful return on investment antiques can create. Antiques of the 18th and 19th centuries are especially valuable because they are entirely handcrafted. Today, there are very few craftsmen who have this expertise, and as time goes on, there will be fewer handmade objects for sale. Did you know that American antiques are the most valuable of all the different varieties in the world? One reason for this is because so few of them were made. 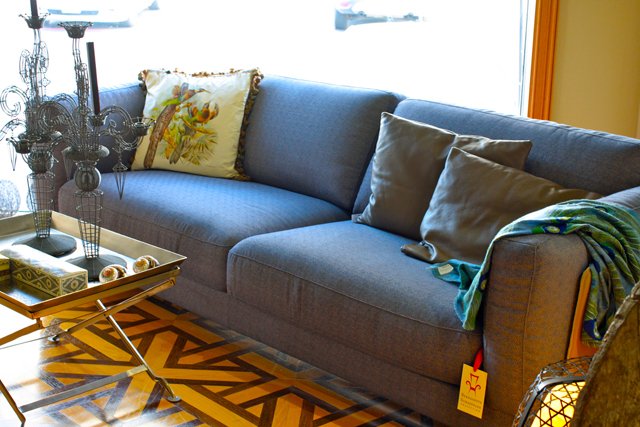 By contrast, mass-produced furniture is very much like a new car—once it is taken off the showroom floor, its price tends to decrease immediately, by one-third to one-half of its purchase price. If you’re still not sure about investing in antiques, think about this: How many companies do you know of today which would make the copper plate to reproduce an antique print, or hand paint fine porcelains? These have become lost arts. And those who do embrace these processes charge a high price for their items. The artisans are rare, and it’s getting more difficult to find craftspeople who maintain the traditional art forms. 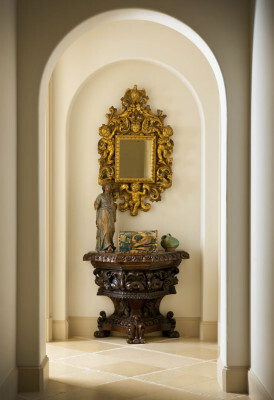 Here are some guidelines for making your antique investment: Buy the best you can afford, look for pieces in perfect condition and keep them in perfect condition, see if there is an artist’s signature or foundry’s stamp, and ask for the provenance, a written record of ownership and authenticity. 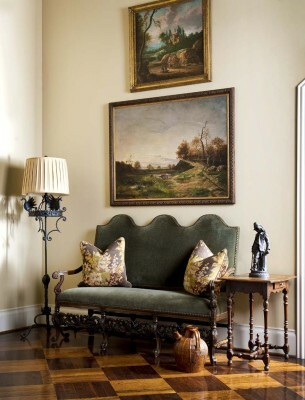 You can learn more about antiques by visiting museums, taking classes, and dealing with a reputable antique dealer or a member of the American Society of Interior Designers (ASID). Buy magazines and books on the subject. Attend auctions to see what items are truly worth and what people will pay: The Heritage Auction Galleries and Dallas Auction Gallery are two excellent venues. I also highly recommend watching PBS’s Antiques Roadshow. Once you begin, I think you’ll agree that learning about and investing in antiques can be a fun and profitable venture. Happy antiquing! With over 60,000 hours of interior design career experience, Margaret Chambers has received numerous awards from the American Society of Interior Design, has been named a Best Designer by D Home in Dallas for over seven years and has been a featured designer in over two dozen publications including Traditional Home, Texas Home & Living, and Dallas Modern Luxury to name a few. Chambers’ experience, innate talent, and studies of classic Europe enable her to confidently mix different styles, techniques, and cultures. You can view her portfolio at www.chambersinteriors.com. I make a lot of decisions on homes by how they look just as I drive by. Weeds in the yard? Nope! Awful paint? Eek! Mis-matched garage door? I’m outta here! I’m not at all unlike most buyers out there, too. Major front yard faux pas can turn off potential buyers faster than bad breath on a first date! So how do you keep your home competitive in a fast-paced market such as Dallas? 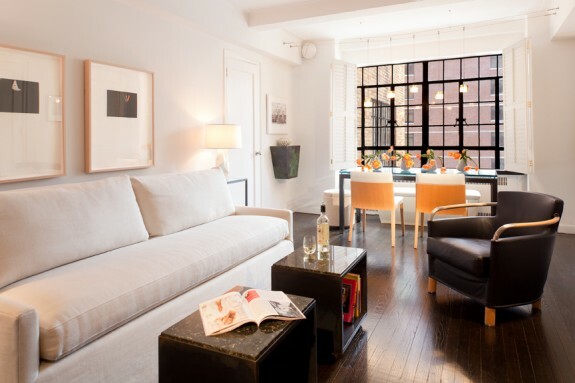 Houzz, that gorgeous interior design bookmarking service, has just the thing. 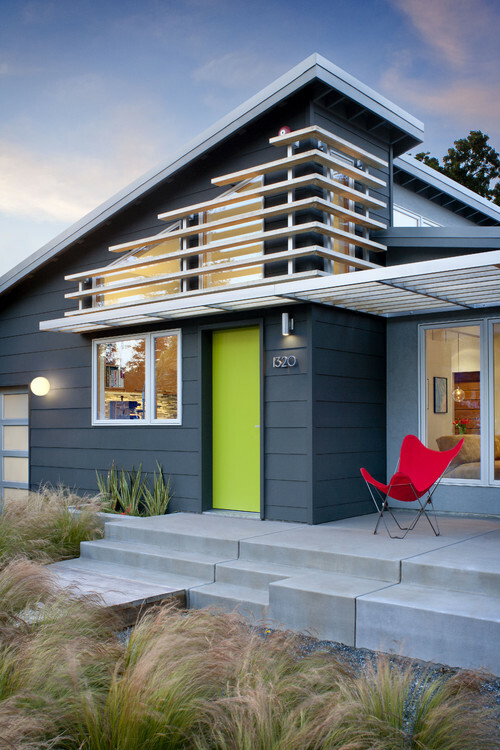 Really, a lot of these ideas are no-brainers that we’ve talked about before, such as giving your front door a distinctive coat of fresh paint. Of course, be mindful of what that color says about you. Cool tips include adding fresh, bold house numbers and clean front-porch furniture to round out a look, and adding more flowers — and perhaps replacing the front lawn with flowers. Of course, check with your HOA or historic district before you rip out your lawn and add native plants. 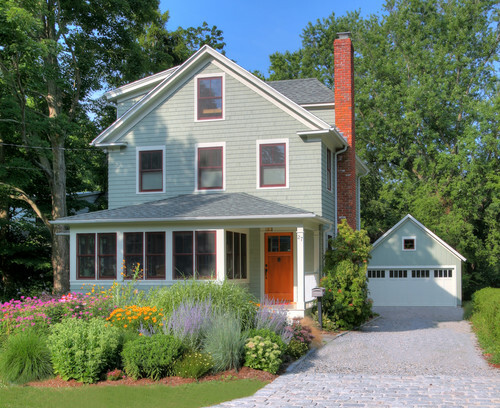 Check out the whole list and some of the gorgeous photos on Houzz.com. See Dallas Designer Dan Nelson’s Second Home in The Big Apple!